Large sump cast iron flat roof outlet complete with adjustable second flange and clamping ring with flat square grate. 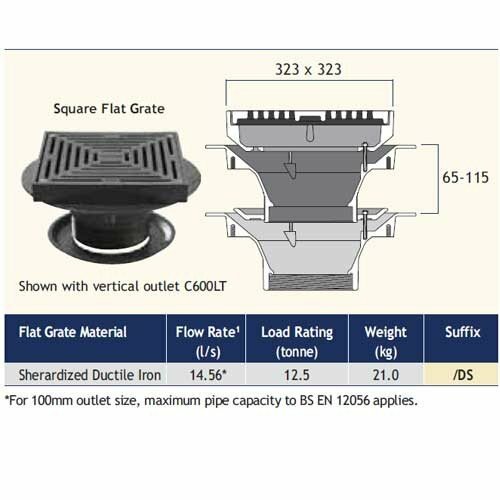 Flow Rate of 14.56 litres per second. 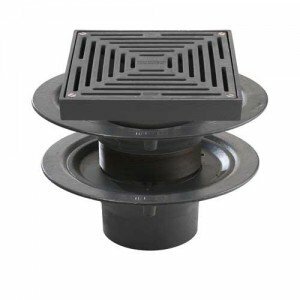 Harmer C600LT/DS - Large Sump 6"BSP Thread Cast Iron Double Flange Vertical Outlet with Flat Square Grate. 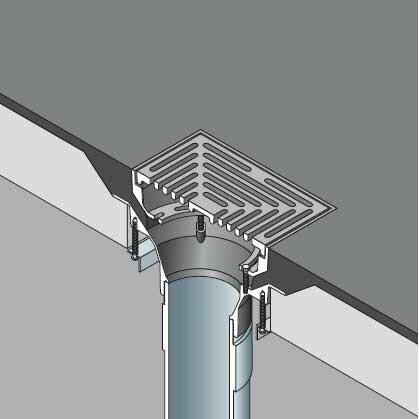 Large sump cast iron flat roof outlet complete with adjustable second flange and clamping ring with flat square grate. Flow Rate of 14.56 literes per second.